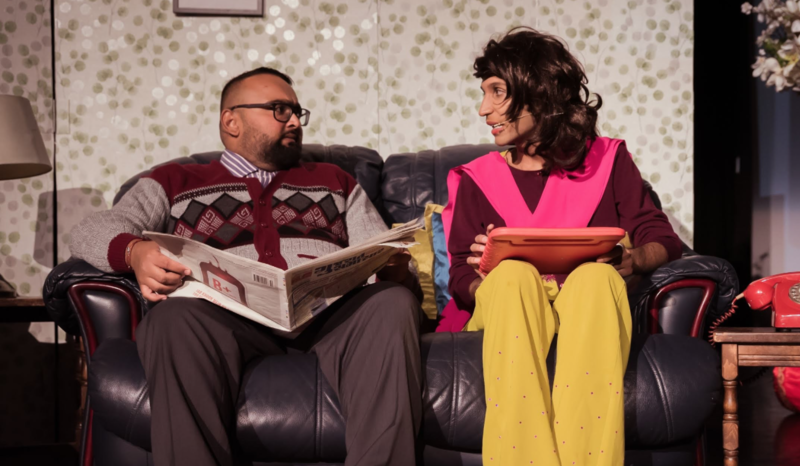 Following ten, sell-out London shows in 2018, Bollywood-inspired, British Asian stage spectacle, Mrs Kapoor’s Daughter’s Wedding, is back this year, once again entertaining audiences young and old with an intimate invite into a typical Asian household as it prepares for a wedding in the family, with all the Bollywood trimmings. One of the fastest sell-out shows at Beck Theatre Hayes during its previous run with a record, sell-out at full capacity within two hours, Mrs Kapoor’s Daughter’s Wedding will once again open at the venue as it kick-starts its tour. Uniting onstage YouTube sensation Parle Patel; West End singer Shahid Abbas Khan; and singer Drupti Vaja, Mrs Kapoor’s Daughter’s Wedding is a laugh out loud, comedy-dance production for a family audience that follows the life of Mrs Kapoor, played by Parle Patel, who is mother to five daughters, one of whom is getting married. Audiences will be taken on a kaleidoscopic journey in true Bollywood style, with hearty measures of romance, drama, comedy and action, through the highs and lows of a typical Asian wedding, from the first family arguments to the emotional witnessing of the couple’s first dance. Mrs Kapoor’s Daughter’s Wedding presents the rollercoaster melodrama of the big, fat Indian wedding, meticulously transferred from home to stage. The production is packed with cultural reference points and nuances, bursting with colour, energy and live comedy sketches that will resonate with audiences of all ages. Bollywood dancing that showcases the craft of AK Bollywood dancers is harmonised with live singing, a fashion show and Rhythm ‘n’ Bass dhol players to create a stage extravaganza unique to the UK stage. Mrs Kapoor’s Daughter’s Wedding is written, directed and choreographed by Archana Kumar, Winner, UK Battle of Bollywood; and Founder, AK Productions and AK Bollywood Dance. The production is a collaboration between AK Productions and AK Bollywood Dance that will tour a team of 35 dancers, actors, singers, dhol (drum) players and production staff. The dancers originate from the London-based AK Bollywood Dance group that have featured in Bollywood productions such as the 2018 film release Namastey England as well as at major events in and around the Capital such as Diwali on the Square, held by the Mayor of London in London’s Trafalgar Square.